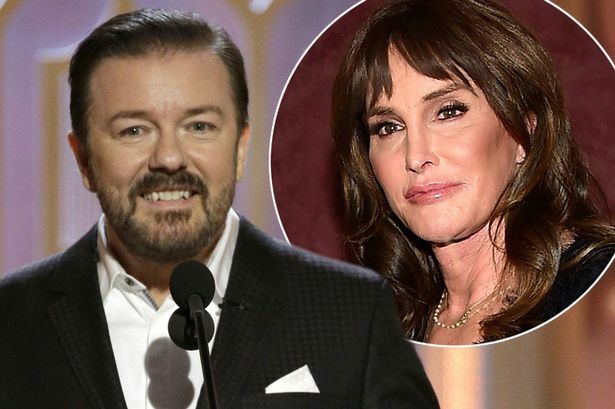 British comedian Ricky Gervais caused outrage by joking about Caitlyn Jenner at the Golden Globe Awards . Gervais who has hosted the Golden Globes awards three times before, waited just two minutes after walking on stage before ripping into the transgender star. "What a year she's had. She became a role model for trans people everywhere, showing great bravery in breaking down barriers and destroying stereotypes. She didn't do a lot for women drivers, but you can't do everything." (referencing Jenner's involvement in a deadly car accident in February 2015).